Several apartment complexes once written off as run down and increasing magnets for crime are being revitalized. 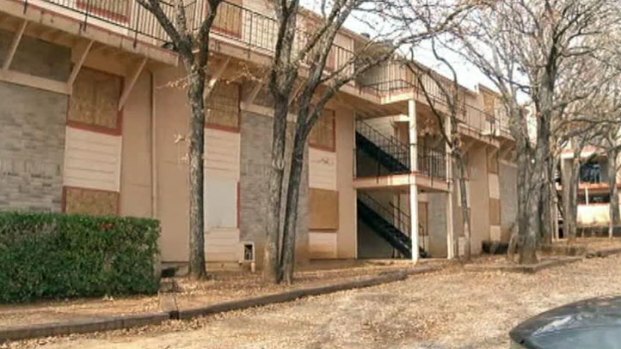 This past summer, a NY-based realty group bought and renamed four apartment complexes – Crestmont, Rochester, Biltmore and Valencia – on Collins Street around Lamar and northwest Green Oaks in north Arlington, and promised to invest more than $3 million into the properties for repairs and renovations. Some of the worst buildings on the properties suffered from mold, fire and structural damage. “Not only the residents need a higher quality place to live, but we need our standards enforced, and I know that code compliance has been a big issue we've been concerned with,” said Arlington Councilman Jimmy Bennett. Several Arlington apartment complexes will benefit from a $3 million investment in order to increase the living conditions of community members. City officials say previous property owners came up short in their promises to renovate and meet code requirements -- something homeowners in nearby neighborhoods have noticed. “We have seen over the last few years is the disrepair that they've fallen into and that does worry you specifically with the property values around the house and the safety of the people living in the apartment complexes,” said Chris McDonald, who owns a home within a mile of at least one of the locations. While the city has had to condemn properties of unresponsive owners in the past, this time they they'd like the properties to realize their potential, which will benefit the city as a whole.